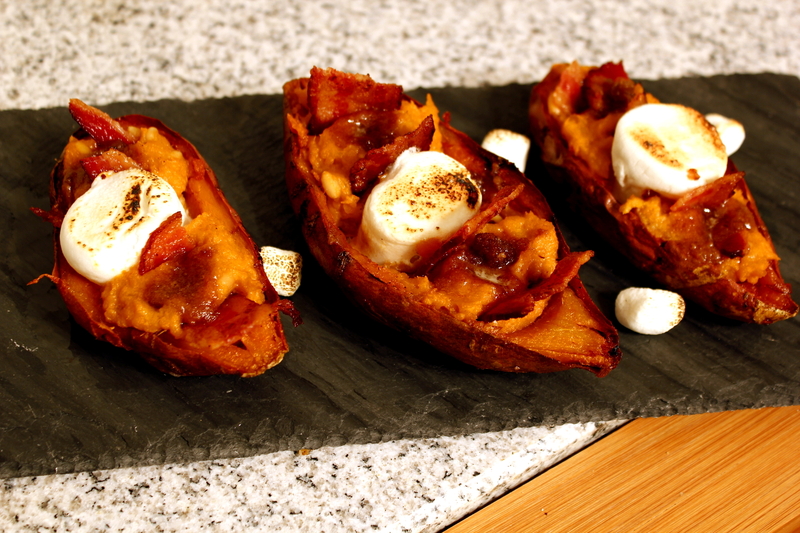 Sweet potatoes were on sale at the grocery store, so I thought I'd take an old family favorite - sweet potatoes with marshmallows and brown sugar - and see if we could make them work in a bar food favorite - potato skins! We fried the skins, puree'd the filling with molasses, added brown sugar and butter, and topped with a marshmallow and bacon. Truly decadent for the holidays! 1. Preheat oil to 375 F. Preheat oven to 375 F. Scoop out baked sweet potatoes, reserve filling in bowl. 2. Deep fry potato skins in oil. Allow to drip and dry on drying rack over paper towels. 4. Cube other half of butter and pinch with brown sugar and cinnamon into thick paste. 5. 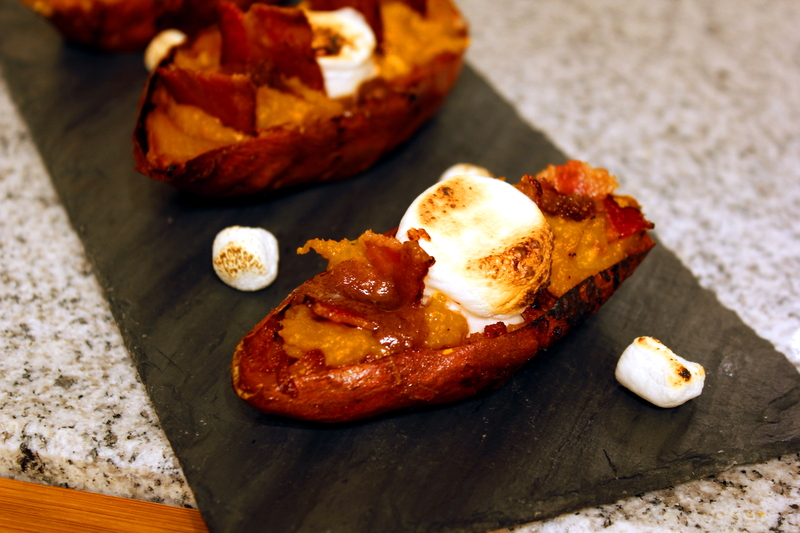 Place marshmallow in center of each potato skin, fill remaining skin with potato filling, top with crumbled brown sugar mixture and bacon. 6. Bake until marshmallow is soft. Remove from oven, toast top of skins and marshmallow with kitchen torch, if available. Serve immediately.